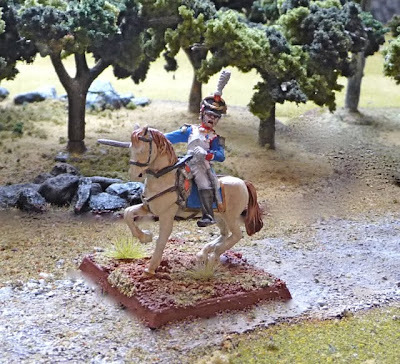 wargaming in 28 mm and sometimes smaller: Victrix French Infantry: Venez-y, vous êtes en retard! Victrix French Infantry: Venez-y, vous êtes en retard! Are the just being fashionably late or annoyingly gallic in their comprehension of time? No the painter is holding them up as there bases are not done yet. Ah, the "Marshal Grouchy" syndrome! Looks like it. I am going to NF later today so "Le Colonel" will have to wait just a bit longer.